Monkeying around for a good cause. 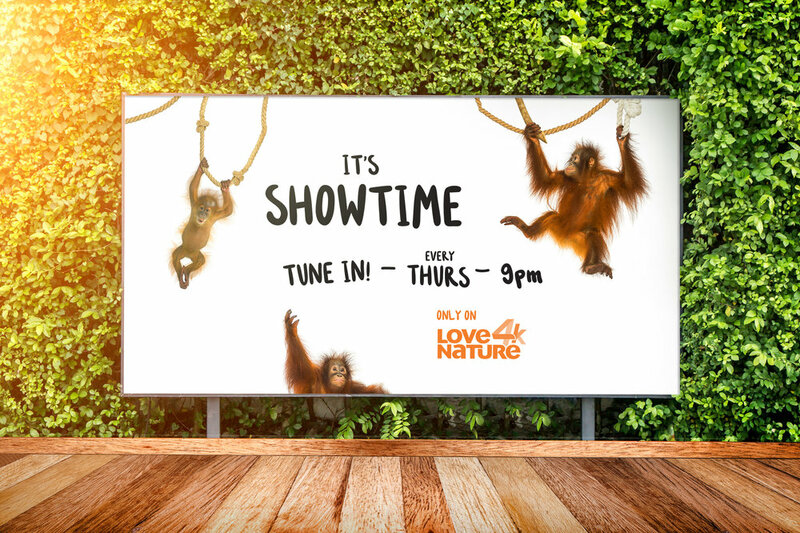 In July 2018, Love Nature 4K – a Canada-owned TV channel in Singapore – approached us for a digital campaign aimed at promoting their upcoming docu-drama series, Orangutan Jungle School (OJS). It was about a rescued batch of orangutans who after losing their parents and homes to human-caused tragedies, must now learn to rehabilitate themselves into the wild. It was honestly one of the saddest things we ever had to hear in a conference meeting, and it was a pretty sunny day too. Add the fact that they were also endangered creatures, we simply couldn’t stomach the horrible truth, but it also got us fired up to make something memorable for our orange-furred friends. Not just as a call to action, but also a movement that stands up to the oppression the orangutans have experienced. A pledge one can take to stand by these furry friendlies and show heartfelt support, because they deserve the spotlight. And what better way to tell this part of the story than through their own lens. The copy came first. Then, we worked to design five content pieces on Instagram that were heavily story-driven, each retelling an account of the horrors each orangutan faced from their own perspective. The impact was immediate. Suddenly, there were conversations about the plight of the orangutans and enquiries surrounding OJS. To keep the conversation going, we then enlisted the aid of influencers to help us reach out to more people. Surprisingly, they were more than willing to volunteer for our cause. 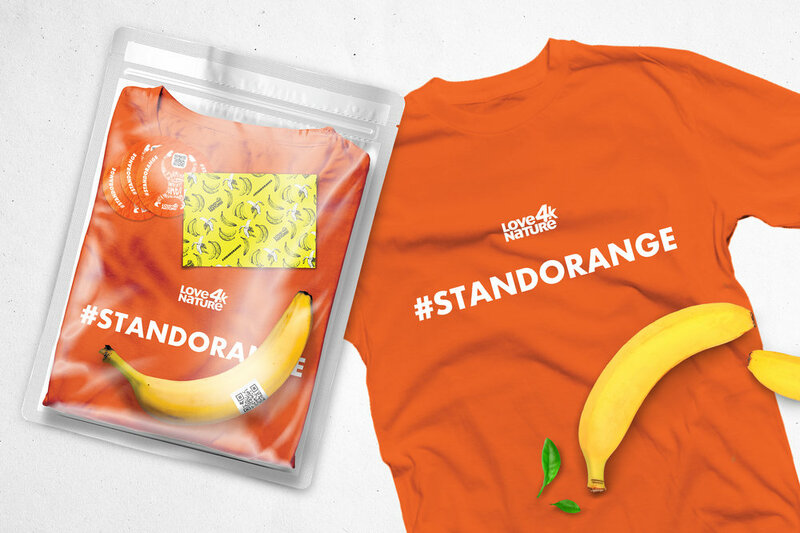 To ensure consistency in their messaging, we even sent out a kit to all of them that included an official T-shirt and written instructions on how they could help spread the message. The cherry on top was ultimately the hashtag we decided to include in every shared post – #OOTD. While popularly known as ‘outfit of the day’, funnily enough, #OOTD could also stand for ‘orangutan of the day’. And because it’s one of the most talked-about hashtags in the world, tagging #OOTD in our posts basically allowed us to hijack the global conversation and slide in an exchange or two about our peaceful primates. This sparked a worldwide conversation about the orangutans’ struggle that led to even more contributors for the cause. With a media spend of $0 (not including the five content pieces), #StandOrange managed to get its message across to over 3,000,000 users with a total of over 4,000,000 impressions, thanks to #OOTD and the volunteer contributors alone. Finally, the orangutans were given the attention they needed to voice their tales of hardship and renewed determination. Finally, they were heard. And to us, they will always be the real heroes of this campaign, and we have never more been proud to have been a part of their story along the way.